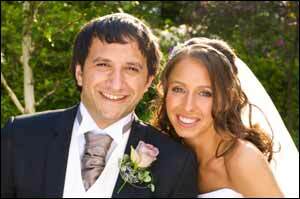 THE wedding of Karen Repper and Heron Shamash took place at Nunsmere Hall Hotel, Cheshire. Rabbi Jason Kleiman of the Beth Hamidrash Hagadol Synagogue officiated. Karen, a senior propositions manager for Virgin Media, is the daughter of Lynda and David Repper, and granddaughter of Rose Stern, of Leeds. Heron, a property investor, is the son of Scarlet and Youna Shamash of London, and grandson of Naima Nonoo of Brighton. Bridesmaids were Karen’s sisters, Natalie Rich and Nicole Barnett, her cousin Milena Bellow and nieces Gabrielle and Abigail Rich. Best woman was Heron’s sister, Hela Shamash. The couple honeymooned in Costa Rica and have settled in London. 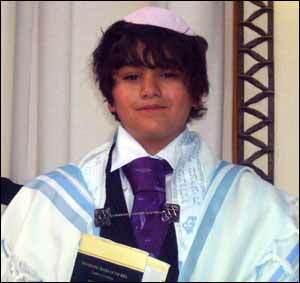 JARED Stone was barmitzvah at Beth Hamidrash Hagadol Synagogue on Shabbat. The son of Geraldine and Lawrence Stone of Alwoodley, Jared is a pupil at King David High School, Manchester. Jared, who plays football for Leeds Maccabi, also enjoys skateboarding and socialising. Jared's grandparents, Avril Moss and Jerry Moss, joined in the celebrations along with guests from Sydney, Brighton, London and Manchester. Jared has a sister, Samantha, 14, who attends Rossett School.